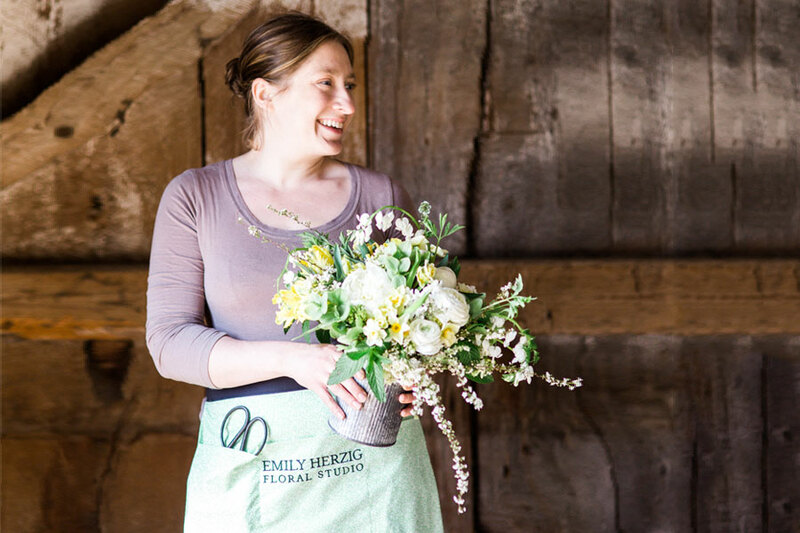 Emily Herzig is a Floral Designer and Wedding & Event Stylist based in Littleton, New Hampshire. From Boston to Bar Harbor, her floral designs have decorated weddings and events throughout New England. She loves using fresh, local, and imported flowers from the world over – with a passion that is instinctive and naturally stunning. Emily began her entrepreneurial path in 2002, when she purchased a vintage floral cooler with her husband, David, and installed it in his grandmother’s basement. In that first summer of 7 unforgettable weddings, the two embarked on their life’s dream. As word of Emily’s creative saavy got out, the business quickly grew. When her first son was born in 2008, Emily traded her retail operations for a new private studio. Today EH Floral’s primary mission is to provide clients with innovative floral designs, staying on top of current trends while honoring classic styles. Whether creating a single custom arrangement for delivery, or designing the overall appearance for a wedding, our customers receive amazing flowers and great experience. outside photos by Two of Cups // inner photo by Rodeo & co.
Today, EH Floral’s creations have adorned over 500 weddings, and been featured in both national and regional wedding magazines and blogs. 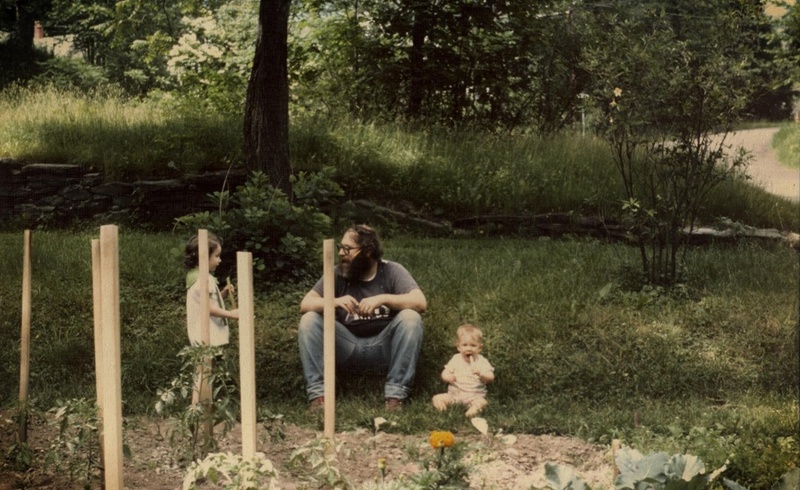 Inspired by the variety of botanicals in her mother’s garden, Emily began arranging flowers as a young child. Using everything from garden roses to asparagus to wild blackberries, her natural instinct for mixing unexpected elements has found its way into her signature designs. Her style is as unique as her personality, expressing life’s beauty through floral design. Flowers remain our primary inspiration. Every week, we travel to the Boston Flower Exchange to bring back the freshest varieties available, constantly discovering something new. Locally-sourced flowers find their way into our designs, as we work with nearby farmers to custom-grow varieties and colors specific to our clients’ needs. New to the studio is our own cut-and-grow gardens, allowing us to create new designs “from the ground up”. Emily lives in New Hampshire with her husband, David, and 2 young sons. When not arm-deep in flowers, she can be found laughing with her boys, cooking up a mean lasagne, or planning her family’s next great adventure.